Pontypool welcomed Tata Steel to a blustery Pontypool Park in the SWALEC Championship and produced some excellent, entertaining rugby in the second period to shatter their visitors’ hopes after a closely fought first half. Tata Steel kicked off playing down the slope. Just after the start the referee asked Pontypool to change jerseys. 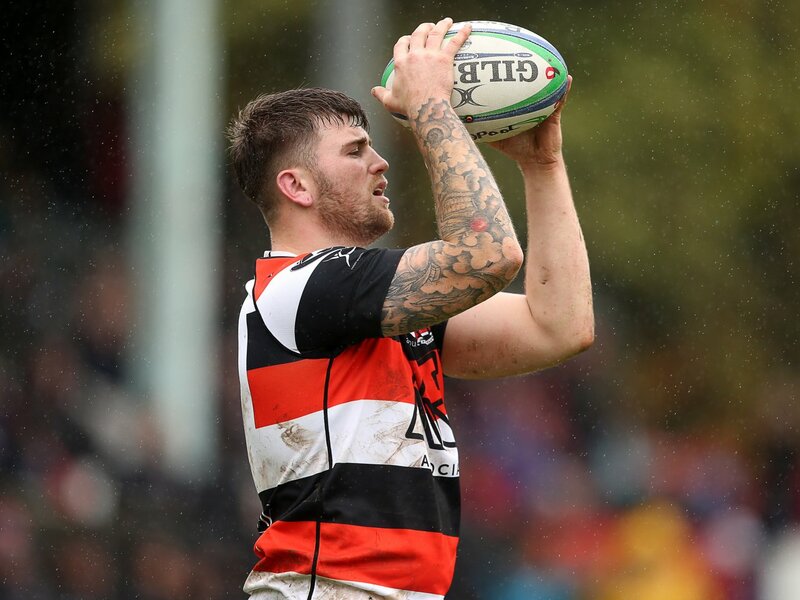 They started in their changed strip of navy blue but this was clashing with Tata’s predominantly light blue shirt so Pooler played with their traditional red, white and black hoops. After eight minutes play, Pooler were caught offside inside their 22 on Tata’s left but the attempt at goal went wide. Shortly after, Pooler centre Clayton Gullis chipped through into Tata’s 22. Full back Josh Hurley gathered, the ball was recycled and play went right to flanker Nathan Hudd whose long pass found fellow back rower Jordan Williams and the latter scored an unconverted try (5-0). Midway through the first half and The Saints took play into the Pontypool 22 and won a scrum 5. At this scrum Pooler transgressed and the referee run under the posts for a penalty try, converted by outside half and captain Steve Lewis (5-7). Five minutes before the interval, Pooler held on after a tackle 15 metres in from touch and 35 metres from their line but the shot at goal went wide. Two minutes later and Tata second row Steve Bevan was blatantly offside on the half way line and was shown the yellow card. From the ensuing penalty, Pooler kicked for position. The home side won the lineout through second row Tom Bell and the lineout opened up for the young forward to go through the huge gap and he galloped 20 metres to score a try to the left of the posts. This score was neatly converted by Clayton Gullis to make the score at half time Pontypool12 Tata Steel 7. At the start of the second period Tom Bell was replaced by Elliott Ferriman. In the first minute of the re-start, Tata kicked out of danger and the ball was taken by Josh Hurley who then passed to Nathan Brooks. The nippy right winger sprinted down field, found centre Pat Lewis in support and the teenager raced over for a try near the posts and Clayton Gullis converted (19-7). Ten minutes later and Pooler’s tight head prop Garin Harris was replaced by Ryan Harford. On 55 minutes, Clayton Gullis took the ball at pace and split the visitors’ defence. He was brought down 10 metres from The Saints goal line but managed to get his pass out to the supporting Jordan Williams who crossed for the bonus-point try to the left of the posts. The conversion failed (24-7). Jamie Jeune was then replaced by Joe Popple at loose head prop for the home side. On the hour mark Pooler went back on the attack through a powerful run by left wing Rhodri Usher. Play broke down, the ball was recycled and moved right, reaching the right corner. 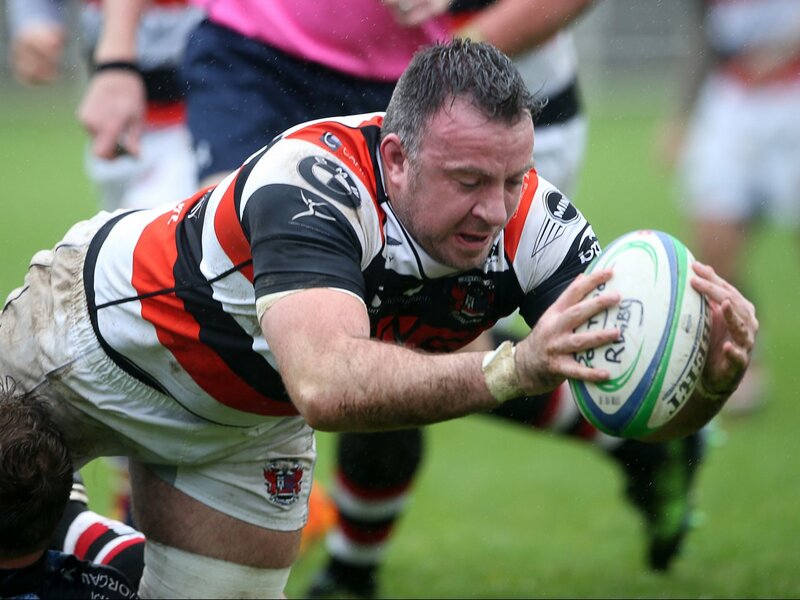 A ruck ensued and flanker Rob Nash squeezed over the blind side near the touchline to score a try. Clayton Gullis kicked the fine conversion (31-7). Pooler made a change at scrum half with Rhys Dyer making way for Aaron Quick and Quick was soon in the action. The impressive Pat Lewis stole the ball near half way and passed to Rhodri Usher who then went on another determined run down the left flank, got his pass out to the supporting Quick and the replacement crossed for a try under the posts, converted by Clayton Gullis (38-7). Pat Lewis took a knock and was replaced by Sam Mills. In the closing stages, the ball went loose outside Tata’s 22 and was gathered by Rob Nash who passed to Nathan Brooks. The winger sprinted 35 metres to cross for a try 10 metres from the right touchline. The conversion failed (43-7). Tata re-started, Sam Mills caught the ball and passed to outside half Tom Hancock who then offloaded to Rhodri Usher. Again the left wing made a break and ran 40 metres and found Josh Hurley in support for the full back to score a try under the posts which Clayton Gullis converted (50-7). However, Tata Steel fought back and scored a try to the left of the posts through centre Liam Gadd, converted by Steve Lewis (50-14). Going into injury time, Tom Hancock chipped ahead near his 10 metre line but was cynically taken out late by Tata’s scrum half Ross Pritchard and was sin-binned. Final score Pontypool 50 Tata Steel 14. 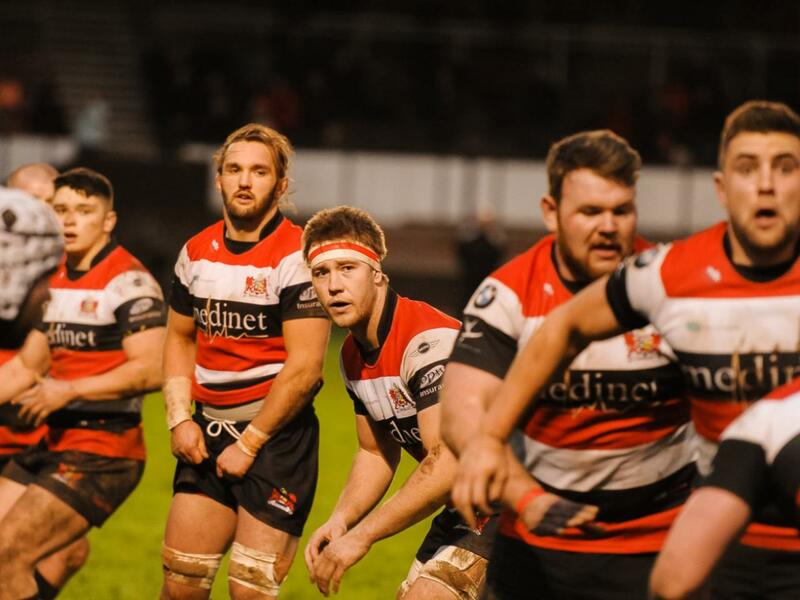 This was a very good performance by Pontypool and they end the first half of the season in third position in the league and in good shape – a point behind second-placed Swansea, although The Whites have a game in hand. Pontypool: Josh Hurley, Nathan Brooks, Pat Lewis (replaced by Sam Mills), Clayton Gullis, Rhodri Usher, Tom Hancock, Rhys Dyer (replaced by Aaron Quick), Jamie Jeune (replaced by Joe Popple), Ben Parry (captain), Garin Harris (replaced by Ryan Harford), Matthew Thomas, Tom Bell (replaced by Elliott Ferriman), Nathan Hudd, Rob Nash, Jordan Williams.